The All New Ford Focus has arrived, now with its new human centric design philosophy, meaning a combination of emotional styling and class leading aerodynamics. You will also find a spacious, free flowing interior, demonstrating the high-level craftsmanship and quality that went into designing and producing the car. The first external feature of the New Ford Focus that really catches your eye, is the new longer bonnet and flowing fender, this design gives a powerful yet elegant look. The entire car has a sporty silhouette, which is emphasised by the singular line running the entire length of the car until it seamlessly disappears into the rear door. A pronounced rear fenders, giving it the feel that its ready to pounce. You will have a selection of alloy wheels to choose from, ranging from 16 to 18 inches, giving you the ability to make your Focus unique. The range of trims available on the Ford Focus; Zetec Edition, ST-Line, Titanium and Titanium X, leave you with plenty of choice, which means you can design your car to meet all of your family’s needs. You have the options of cloth trim, partial leather or full Windsor leather, then in the ST-Line enjoy Sports-style front seats with red stitching and aluminium finish pedals. Air condition is standard across the range, as well as an adjustable lumbar support for the driver and an electronic handbrake. All the interior features together insuring those long drives are comfortable for everyone. The All-New Ford Focus meets all of the latest Euro 6 emissions standards, which have been calculated by the new World Harmonised Light Vehicle Test Procedure (WLTP), with the 1 litre /1.5 litre EcoBoost petrol and 1.5 litre / 2.0 litre EcoBlue diesel engines leading the way. Safety is always at the fore front of Fords design and building process. The Focus has yet again achieved the highest 5-star NCAP rating that is available to it, with such features as; Autonomous Emergency Braking, Lane Keeping Aid and many more all standard across the range. As well as this you will have a selection of optional driver assistance technologies to keep you and your family safe. With a list of new technology on the All-New Ford Focus as long as your arm, even the most tech savvy will not be disappointed. This being said, even the less technologically advanced can use the car to its full potential, with the user-friendly systems.  Adaptive Cruise Control with Traffic Sign Recognition. New to the Ford Focus line up is the Active, with its rugged SUV-inspired styling, the new Active promise a be the perfect companion for all of life's adventures. The Active has an increased ride height for navigating tricky terrain, selectable drive modes (Slippery & Trail) for peace of mind in uncertain conditions and unique styling cues for an impressive overall design. With an in-car Wi-Fi hotspot offering speeds of up to 4G LTE‡‡, you don’t need to use your smartphone’s valuable data allowance to stay online. You can effortlessly connect a maximum of ten devices to the hotspot, load your favourite streaming services, and make those long journeys feel a lot shorter for any passengers or children travelling in your car. FordPass Connect comes with 3 months or 3GB of complementary data. Afterwards you can buy data bundles for a day, a week, or even a year from Vodafone. See their website for details. Please speak us about activating FordPass Connect when you collect your vehicle. Visit our FordPass & FordPass Connect Page to Find Out More. [†††]Many phones are able to charge wirelessly, to be compatible your phone device will need to have Qi or you will need to have a Qi charging case.